Rodents are a group of mammals from the order Rodentia and over 40% of all mammals belong to this order. 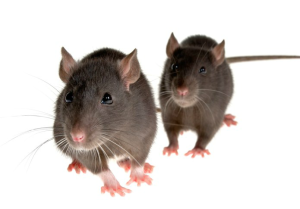 Examples of commonly known rodents are mice, rats, squirrels, voles, guinea pigs, hamsters, and gerbils. Most rodents are small between 6cm – 30cm. However, some rodents for example the capybara, (Hydrochoerus hydrochaeris) are much larger, growing to between 105cm – 135cm. All rodents have one thing in common, four incisor teeth that keep growing throughout their lives. These must be kept worn down by the act of gnawing. This in fact is the origin of their name, from the Latin word “rodere” which means to “gnaw”.